“Wireless Imagination addresses perhaps the most conspicuous silence in contemporary theory and art criticism, the silence that surrounds the polyphonous histories of audio art. 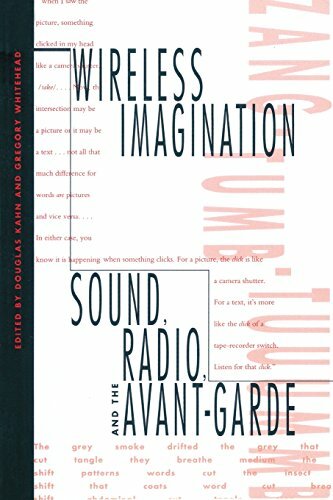 Composed of both original essays and several newly translated documents, this book provides a close audition to some of the most telling and soundful moments in the ‘deaf century,’ conceived and performed by such artists as Raymond Roussel, Antonin Artaud, Marcel Duchamp, André Breton, John Cage, Hugo Ball, Kurt Weill, and William Burroughs. With essays by Douglas Kahn, Charles Grivel, Craig Adcock, Christopher Schiff, Mel Gordon, Gregory Whitehead, Allen S. Weiss, Mark E. Cory, Frances Dyson, and Robin Lydenberg. Reviews: Timothy Dean Taylor (Postmodern Cult, 1993), David L. Austin (Art Doc, 1993), Gerald Hartnett (Leonardo Music J, 1994), Stephen Miles (Notes, 1994), Ágnes Ivacs (Artpool, n.d.).